3PHASE Lingua Group is interviewed by Radio One Mallorca and talks about the unique method to learn a foreign language. 3PHASE Lingua Group was invited to a live on air presentation in the studios of Radio One Mallorca this week. In the 20 minute interview our managing director was asked about the different products of our language school and was able to give listeners a deeper insight into our very special teaching method and our language courses in Mallorca. The radio broadcaster Richard Prior conducted the interview and asked us about our different headquarters, our operational areas, the languages we offer and about our unique teaching method. The client feedback after the interview was amazing and we received numerous calls and emails inquiring about our language courses. Radio One Mallorca is the sound of the Island and is heard throughout the whole world! 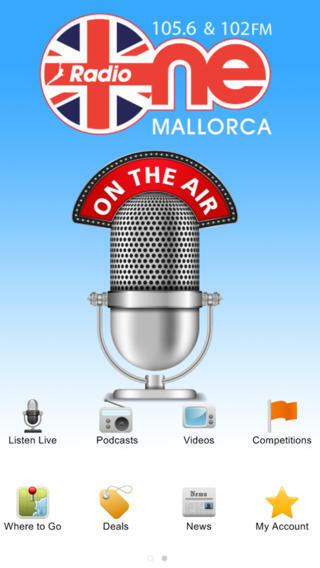 It is the only English speaking Radio station in Mallorca that broadcasts 24hrs a day. Radio One Mallorca is a high quality radio from the company that created Pirates & Pirates Reloaded. Listen island wide on 105.6fm in Calvia on 102fm online and on your mobiles. You can hear us wherever you are…24/7…Worldwide! Radio One Mallorca is a 24 hour commercial radio station broadcasting in English, mixing current & classic hits with local and relevant information aimed at a target audience of English-speaking residents and visitors to Mallorca, Ibiza and Menorca. The radio shows are a mix of live and pre-recorded programs, presented by well known and respected presenters from Mallorca and across Europe. The British residents on Mallorca exceed 30,000 people and that doesn’t include the vast number of residential tourists that frequent the island throughout the year. The overall figure of English-speaking people is estimated to be over 70,000 people. A big thank you to the whole team of Radio One Mallorca for the brilliant interview!